The InnoVenture Salon will debut at next week's Asian Financial Forum (AFF), to foster start-up development. The Salon will leverage the AFF to connect start-ups with more than 2,500 business leaders and investors, offering an ideal stage for start-ups to present innovative business concepts and take part in mentorship sessions and connect with potential investors and partners. Participating startups include Farm66, En-trak, AA Pay, etc. This year's AFF takes place next Monday and Tuesday (15-16 Jan), organised by the Hong Kong Special Administrative Region Government and the Hong Kong Trade Development Council (HKTDC) at the Hong Kong Convention and Exhibition Centre (HKCEC). Sophia, Saudi's first-ever robot citizen just took her first steps during the 50th Consumer Electronics Show in Las Vegas. Hanson Robotics, a Hong-Kong based startup which created Sophia, partnered up with experts at the University of Las Vegas to develop the robot's legs ... allowing Sophia to take her first steps. "Eventually, we expect that she will be truly alive and with us in our world helping people on a daily basis." said David Hanson, founder of Hanson Robotics. AlphaConcepts, a HK-based influencer marketplace is helping brands connect with suitable influencers more easily as well as help them optimise their advertising spend. The startup was founded by Irish Ong, a professional model with about 10 years of experience in the modelling industry. This long exposure to the industry allowed her to pinpoint some of the shortcomings of its practices, mainly the inefficiencies of hiring and using influencers. Founded nine months ago, AlphaConcepts has since partnered with 1,160 influencers and 50 brands. 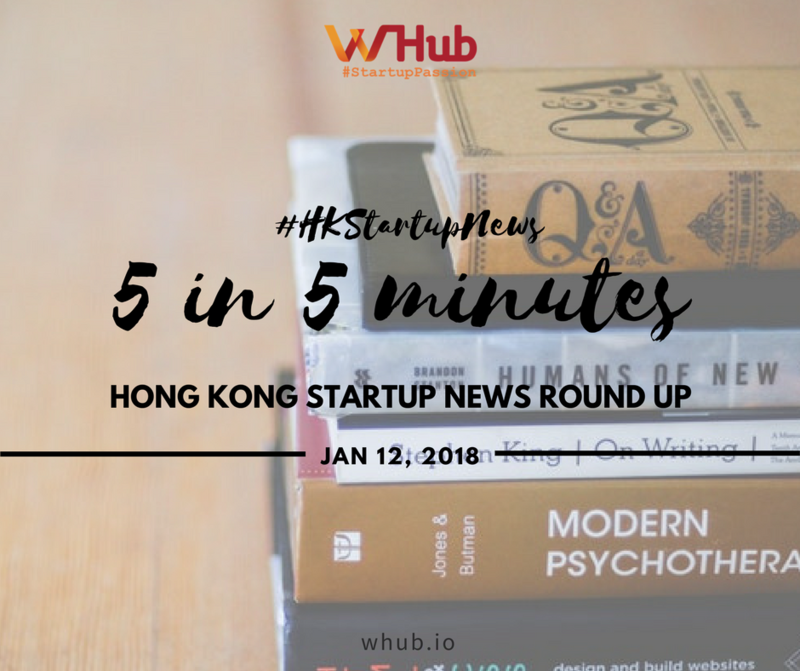 It recently raised a US$200,000 seed round from four angel investors in Hong Kong and will use it to ramp up product development and expand its market presence. K11, the world's first “art mall” and the brainchild of the Hong Kong-based entrepreneur, has invested in artificial intelligence company ObEN, with a view to bringing immersive experiences to retail. The funding from K11 will be used to drive the growth of ObEN’s AI technology, which can simulate a person’s voice, face and personality, and can do things on their behalf. The start-up, founded in 2014 and based in Pasadena, California, has raised more than $23.7 million to date. UCommune, the Chinese co-working startup formerly known as UrWork, has reportedly leased a full floor at Grand Millennium Plaza in Sheung Wan, preparing to open its first shared office centre just minutes away from Hong Kong’s Central business hub. The Hong Kong opening comes just after Ucommune raised RMB 300 million ($46 million) from a trio of mainland investment firms in a series C funding round that valued the company at RMB 9 billion ($1.3 billion) at the end of last year.